Medic62 had the most liked content! think it maybe nap time. 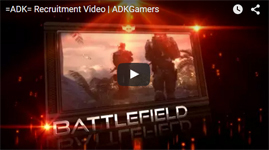 @[member='TommyGun'] Welcome to ADK, what games do you like to play?, what do you enjoy doing besides playing video games? What do you enjoy doing besides gaming? Welcome to ADK, What do you enjoy doing besides gaming?